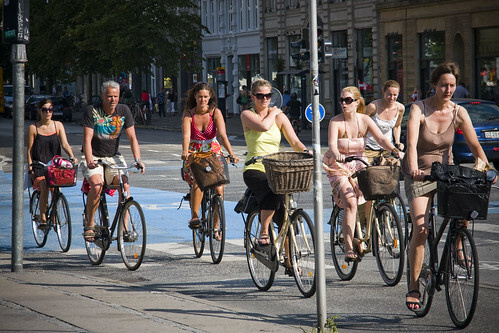 Just an average cross-section of summery Copenhageners on bicycles taken at a random moment. Looks like many are heading home from the beach. Great picture - love it!